he Special War Problems Division of the U.S. State Department ran a small group of its own internment facilities during WW II. “Special war problems” included diplomats and consular corps staff, as well as executives from Axis owned businesses, from both the U.S. and Latin American countries. 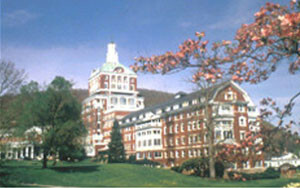 In Virginia, the Homestead Hotel and the Cascade Inn, both in Hot Springs, were used. 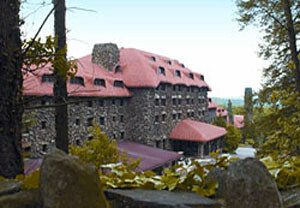 The Homestead was originally built in the 18th century; Japanese Latin Americans were interned here, while German diplomats were housed at the Ingleside Hotel, in Staunton, Virginia. The Shenvalee Hotel in New Marken also housed internees. Everyday operations of these facilities were handled by the INS.